Banana flowers/Vazhaippoo possess anti oxidant properties, full of dietary fiber, fights anemia and diabetes (it is strongly believed that an intake of banana flower for 30 days reduces blood sugar level), is very good especially for women, because it protects the uterus, and also stimulates lactation in nursing mothers, stimulates weight loss, high in vitamins and minerals, reduces anxiety and boosts one's mood, reduces the risk of early aging, prevents heart disease, can keep Parkinson and Alzheimer's diseases at bay and also prevents gastro intestinal diseases. 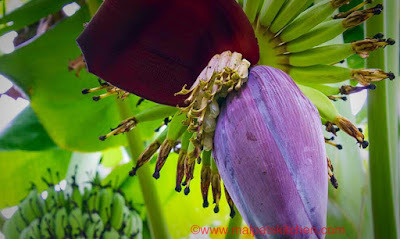 Banana flowers being cleaned, all the "Kallans" removed. 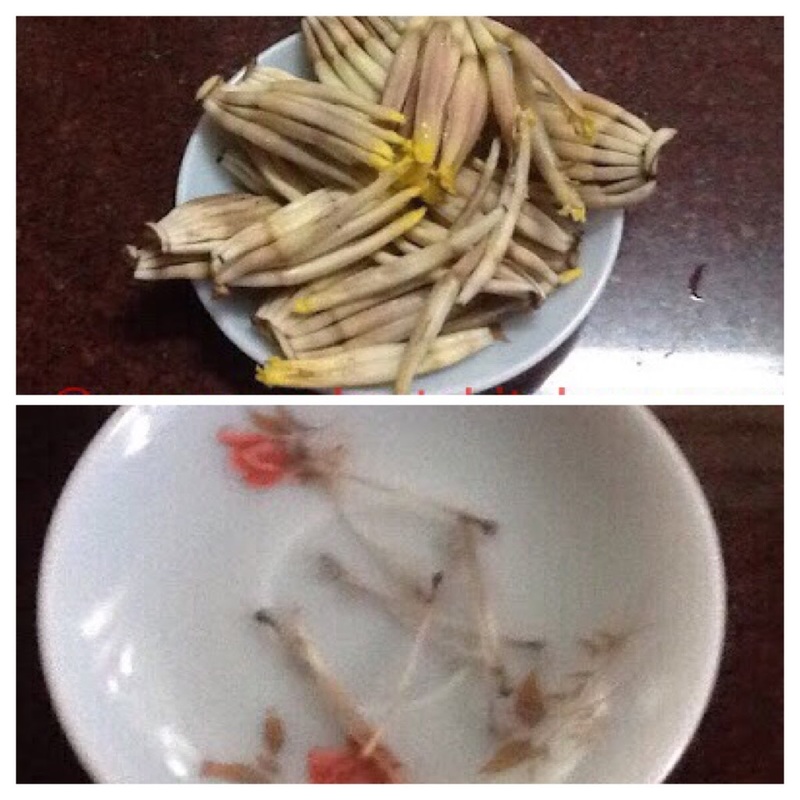 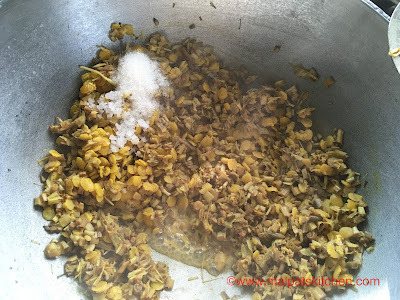 We have to cautiously remove the "Kallans", the thick stem like thing.....first thing, neither can you cut it nor can you cook it...also, it causes stomach ache. 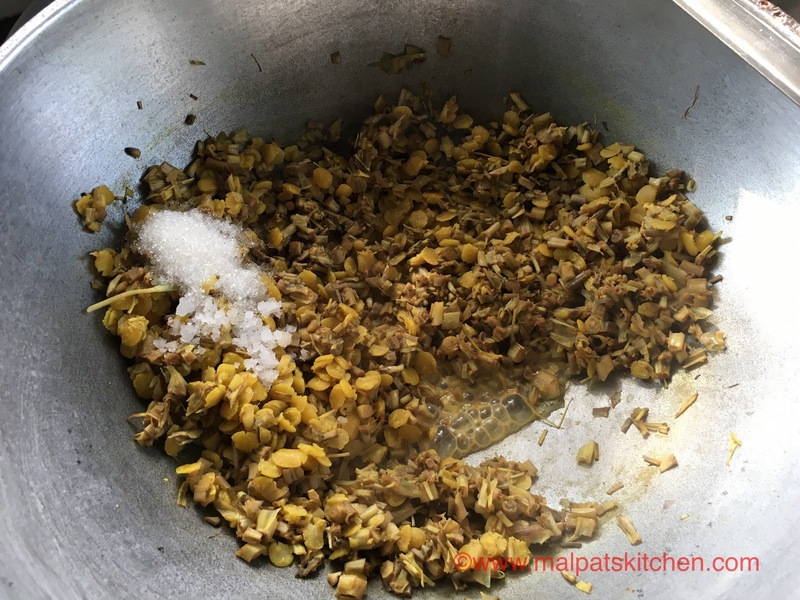 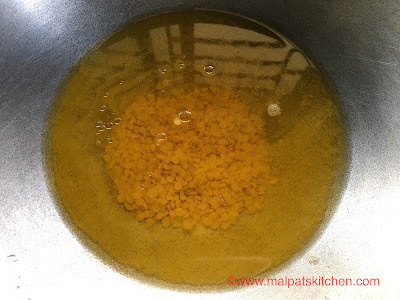 When the tur dhal is less-than-half-cooked, add the chopped banana flowers, flames on the lowest, if need be, keep covered with a lid. 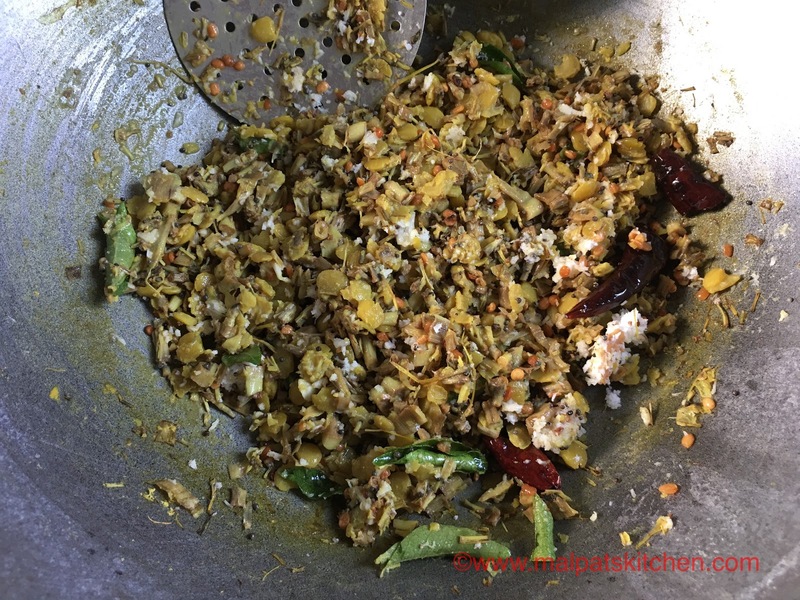 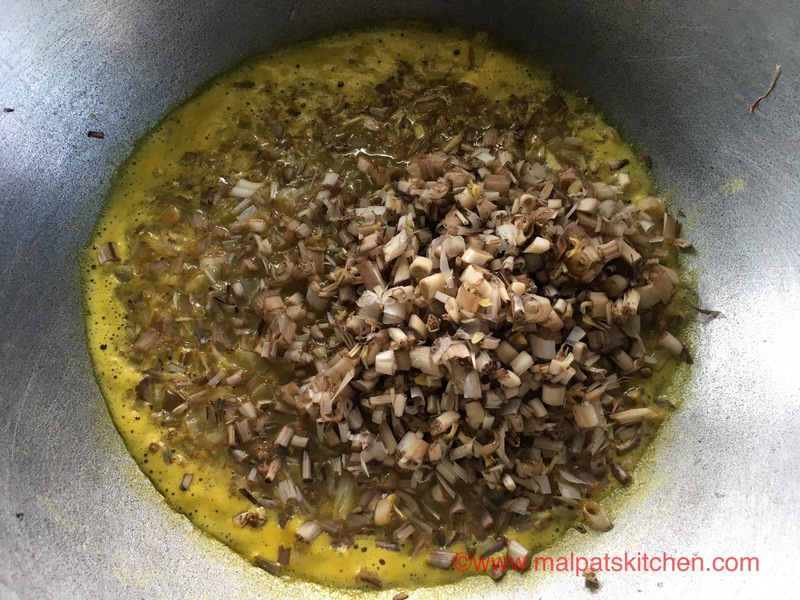 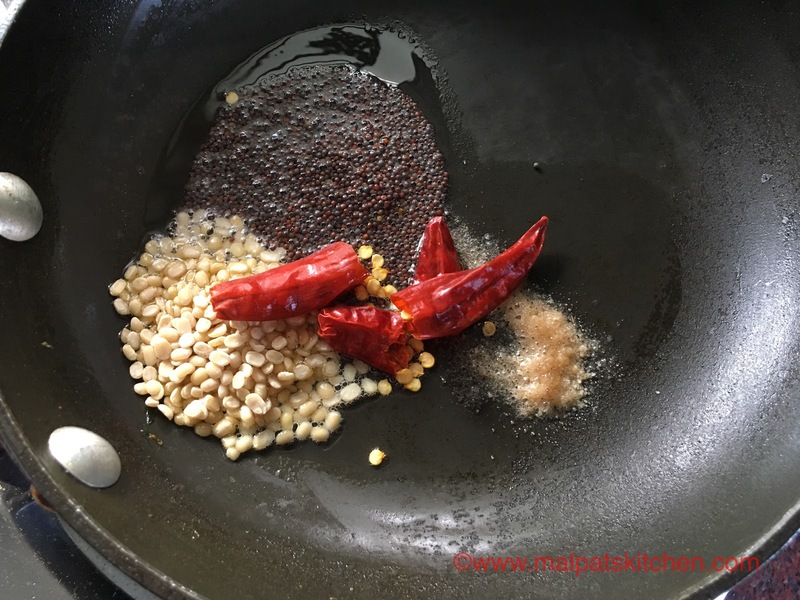 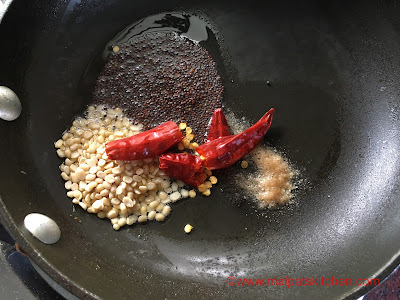 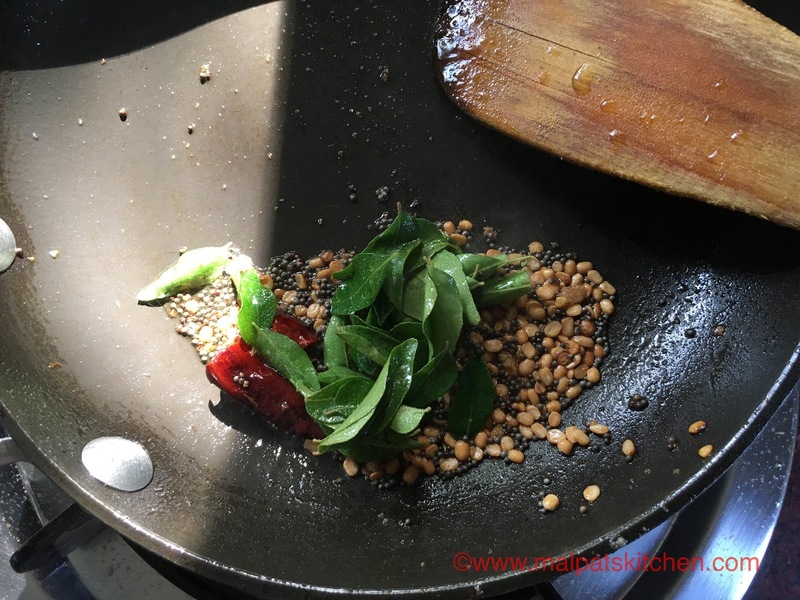 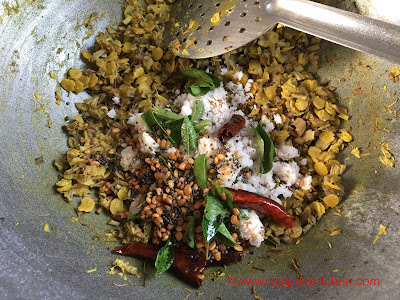 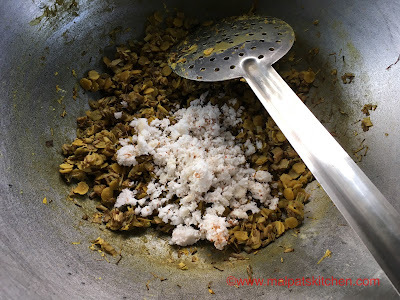 Add the grated coconut too.